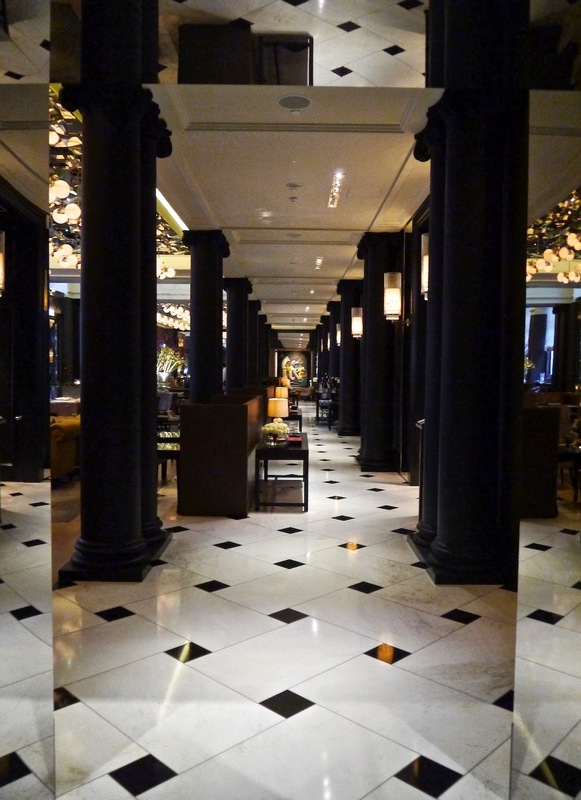 At the weekend we made our way over to the the beautiful new Rosewood London. High Holborn might not be our usual stomping ground but after attending a stunning party in the Ballroom of the hotel the week before, I was determined to go back and explore. You enter the hotel through a decorative stone archway which leads to an imposing courtyard with beautifully carved stonework towering above. 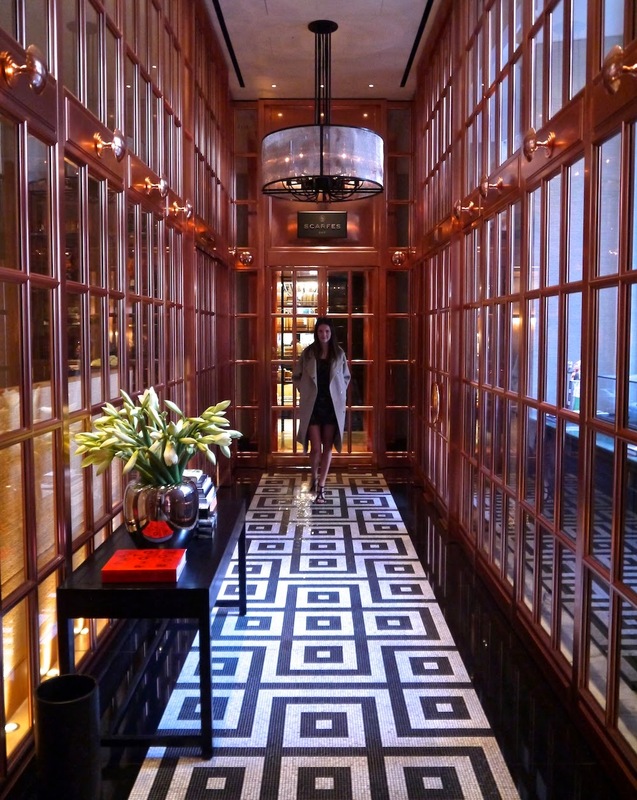 The hotel reception is all copper and glass, and every surface is piled high with the most dreamy books, candles and flowers. I don’t think I’ve been so impressed by a London hotel for a long time. 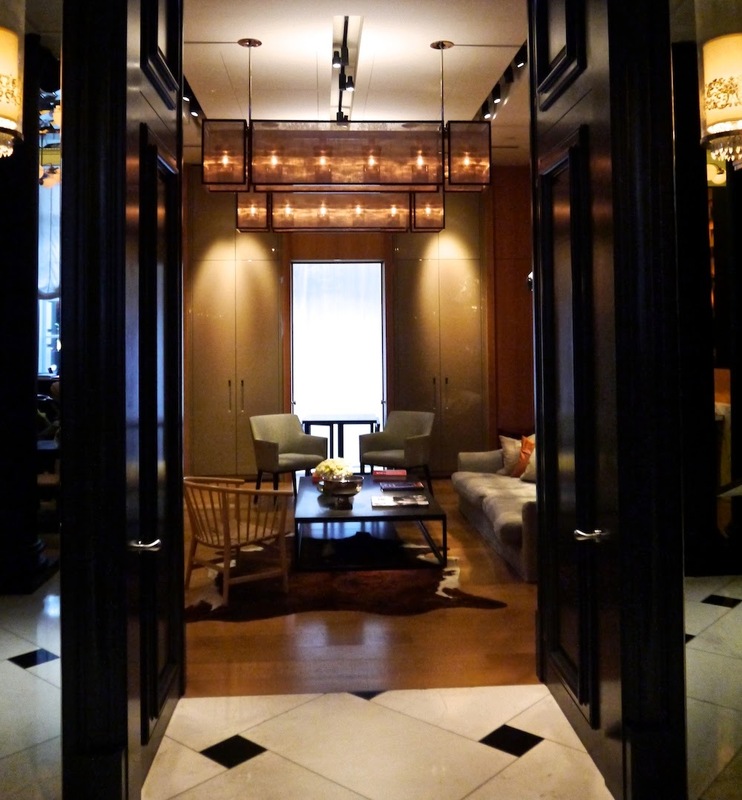 Each room leads to another, even more beautiful than the last – a secret lounge for whiling away the afternoon, a hidden dining room for a decadent supper, and a dark and seductive bar with an enticing cocktail list… I literally want to move in, and luckily, those cheeky chappie doormen didn’t seem to mind me nosying around in this fab Self Portrait dress and my favourite oversized coat.